Over the past few years, Samsung has gone all-in on their camera game, and they’re killing it. Apart from consistently producing one of the best smartphone cameras on the market, Samsung also gives their users multiple ways to shoot photos. You can use the standard shutter button inside the camera, press the volume buttons, use voice control, or hold out your palm towards the camera to make it click a picture on a timer. Clearly, four different ways of capturing an image are not enough, so Samsung decided to add a fifth. Samsung introduced a new feature called the Floating camera button with the Galaxy A (2017) series. 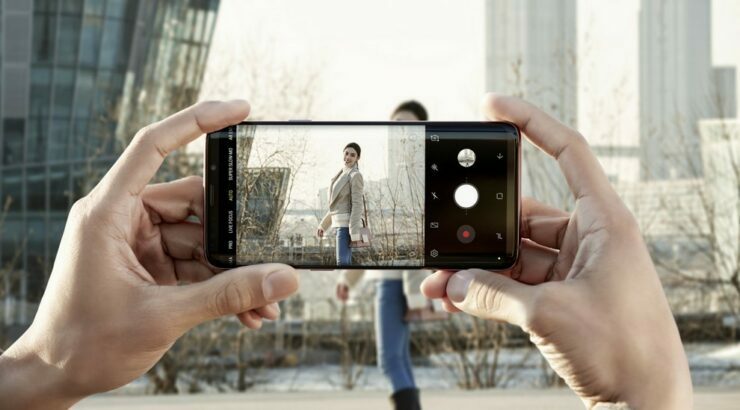 The button does what you think it does; it gives you a camera button that can be freely moved around on the screen and placed wherever you want it to be. The second button is independent of the original camera button, which stays where it is. A floating button can come in handy when you’re trying to capture a selfie but can’t reach for the camera button/volume keys. You can also place it right next to the main camera button to make it larger. But like most useful features, it is hidden deep within the labyrinth of menus in the camera settings. Here’s a step-by-step- guide on how to enable it. You should now have two camera buttons on the screen. You can long press and drag the second button to wherever you want it. The button works for both the front and the rear camera, but we’d recommend that you save it to capture that perfect group selfie.